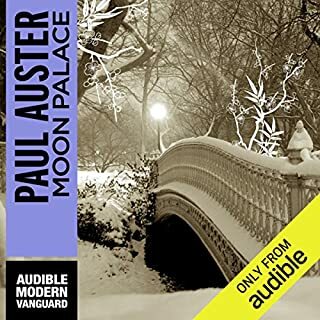 Against the mythical dreamscape of America, Auster brilliantly weaves the bizarre narrative of Marco Stanley Fogg, an orphan searching for love, his father, and the key to the riddle of his origin and fate. I don't get it, I thoroughly enjoy it though. It is the late 1920's, the era of Babe Ruth, Charles Lindbergh, and Al Capone, and Walt is a Saint Louis orphan rescued from the streets by the mysterious Hungarian Master Yehudi, who teaches Walt to walk on air. The vaudeville act that results from Walt's marvelous new abiltiy takes them across a vast and vibrant country, where they meet and fall prey to sinners, thieves, and villains, from the Kansas Ku Klux Klan to the Chicago mob. For Jim Nashe, it all started when he came into a small inheritance and left Boston in pursuit of a "life of freedom." Careening back and forth across the United States, waiting for the money to run out, Nashe met Jack Pozzi, a young man with a temper and a plan. With Nashe's last funds, they entered a poker game against two rich eccentrics, "risking everything on the single blind turn of a card." Mr. Bones, the canine hero of this astonishing book, is the sidekick and confidant of Willy G. Christmas, a brilliant and troubled homeless man from Brooklyn. As Willy's body slowly expires, he sets off with Mr. Bones for Baltimore in search of his high-school English teacher and a new home for his companion. 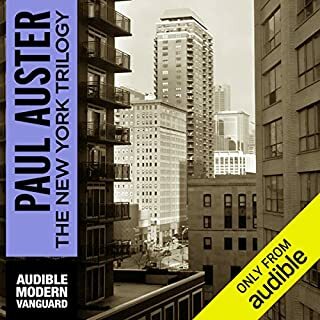 Mr. Bones is our witness during their journey, and out of his thoughts, Paul Auster has spun one of the richest, most compelling tales in American fiction. Should I Have Said Gehrig? After losing his wife and two young sons in an airplane crash, professor David Zimmer spends his waking hours in a blur of alcoholic grief and self-pity. Then, watching television one night, he sees a clip from a lost film by the silent comedian Hector Mann. Zimmer soon finds himself embarking on a journey around the world to study the works of this mysterious figure who vanished from sight in 1929. An enigmatic young man employed as a trash-out worker in Florida, obsessively photographing thousands of abandoned objects left behind by the evicted families. A group of young people squatting in an apartment in Sunset Park, Brooklyn. The Hospital for Broken Things, which specializes in repairing the artifacts of a vanished world. A celebrated actress preparing to return to Broadway. 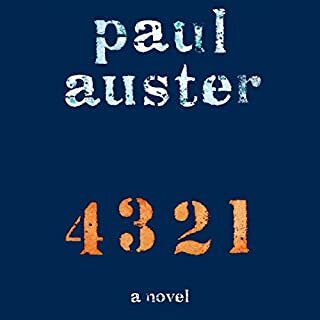 These are just some of the elements Auster magically weaves together in this immensely moving novel. My Struggle: Book One introduces American listeners to the audacious, addictive, and profoundly surprising international literary sensation that is the provocative and brilliant six-volume autobiographical novel by Karl Ove Knausgaard. It has already been anointed a Proustian masterpiece and is the rare work of dazzling literary originality that is intensely, irresistibly readable. Several months into his recovery from a near-fatal illness, 34-year-old novelist Sidney Orr enters a stationery shop in the Cobble Hill section of Brooklyn and buys a blue notebook. It is September 18, 1982, and for the next nine days Orr will live under the spell of this blank book, trapped inside a world of eerie premonitions and bewildering events that threaten to destroy his marriage and undermine his faith in reality. 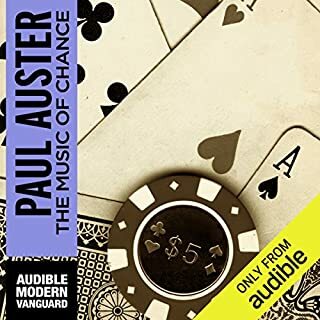 As an added bonus, when you purchase our Audible Modern Vanguard production of Paul Auster's book, you'll also get an exclusive Jim Atlas interview that begins when the audiobook ends. 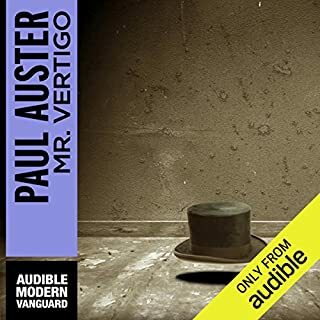 This production is part of our Audible Modern Vanguard line, a collection of important works from groundbreaking authors. 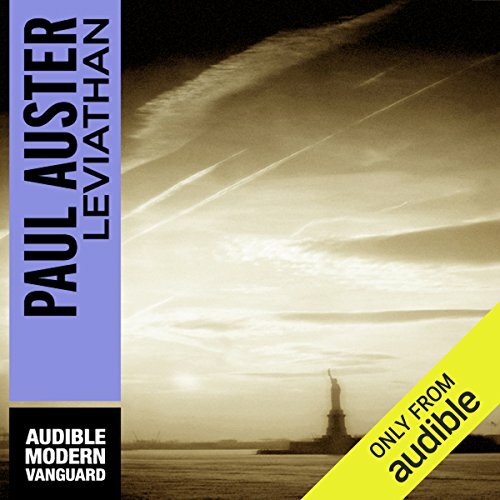 ©1993 Paul Auster (P)2009 Audible, Inc. The characters of the story are authors and they as the real author create their own realities. My problem was that I was constantly lost in their realities and sometimes was forgetting which reality supposed to be the book's reality. This book starts with details of an explosion which killed a man and then goes back and draws you into the story which led to that event. 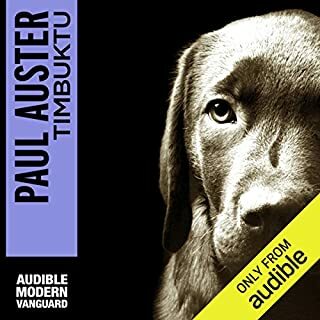 It’s a captivating story by Paul Auster and also is read so well by Peter Ganim.